Dubai - The fascinating destination for many especially Indians! For many thing that Dubai is just a city of concrete - well its not just that. Dubai has much more to offers than just concrete. One of the fascinating things in Dubai is that it has the biggest skyscraper in the world that makes a spectacular view and its extremely innovative in terms of its architecture. Saudi as a whole is the only country in the world with no rivers at all? About 22% of the entire world&apos;s cranes are currently being used in Dubai alone! Dubai&apos;s Palms Islands were constructed by importing sand - 94 cubic meters of sand! Burj Khalifa the tallest building - one can actually view it from 95 kms away! Welcome to Dubai - One of the most unique, vibrant and ultra modern destinations in the world! You will be greeted by EziiTours representative on arrival to Dubai and will proceed to go to your hotel. Once check in formalities are done you will spend the day in relaxation and enjoying the global atmosphere. In the evening we will enjoy the Dubai Creek Dhow Cruise with Dinner (on Seat in Coach basis). Here you get to enjoy the taste of true Arabian hospitality. The creek of Dubai which is starry and with a moonlit sky provides a perfect ambiance for a sumptuous meal on board. Return to Hotel and rest. After a yummy breakfast in the morning on day two we set out for a city tour of the city of Dubai. Here you will experience the vibrant cosmopolitan life along with a few historic sites in Dubai. Your tour begins with a photo stop at the most famous landmark and the tallest building in the region which is Burj Al Arab (previously known as Burj Dubai). The tour then continues to Jumeirah - the palace and the residential area which is also home to the Jumeirah mosque and after that to Al Bastakiya. Later you get to wander through the glorious spice souks and gold souks where you can shop till you drop. Meal Plan: Breakfast and Dinner. Wake up to a lazy morning in the global destination of Dubai followed by a yummy breakfast. You have the morning hours for leisure to explore Dubai on your own if you so wish or just laze out in the hotel. Later in the afternoon you will be picked up and taken to the very famous Dubai Mall and then proceed to Desert Safari Tour. A great opportune moment where you will go in the interiors of the desert and experience the unique thrills of a roller-coaster ride over the sand dunes. Watching the sun set down in the desert is another unique experience. You can enjoy the camel rides or a sheesha and then feast on a BBQ dinner followed by belly dancing on the beats of arabic music that will scintillate your senses. Drop to the hotel and overnight stay in hotel. After a yummy breakfast in the hotel - Transfer to Abu Dhabi which is the capital of United Arab Emirates and also happens to be home to the ruling Emirates family and hub of oil business. Get entertained by spectacular landmarks, ultra modern architecture, tempting shopping malls, traditional crafts, carpets and the old souk (old market). The tour starts with a visit to the Sheikh Zayed Grand Mosque which is a stunning masterpiece which houses the largest chandelier and Iranian carpet in the world! Later visit Mina Zayed port markets and Heritage Village. After this tour we proceed to evening fun at Ferrari World which is the largest indoor theme park which also houses Formula Rossa - the fastest roller coaster. End the day to be transported back to hotel followed up Dinner and Rest. The day begins easy followed by breakfast at the hotel and later a visit to the much famous Miracle Garden. Miracle Garden is one of a kind in the region and in the world for such a unique display and extravagant outdoor recreational destination. Spend the day at leisure with numerous photographs to be taken at the Miracle Garden! Start the day with a yummy breakfast and later proceed to be dropped at the Airport. Your Dubai trip concludes with lovely memories. 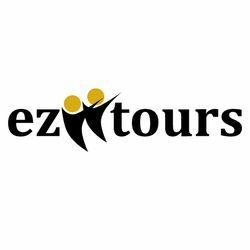 We truly hope that you enjoyed your trip with EziiTours and would appreciate if you give us your honest feedback which will be kept confidential! Let us stay in touch again for your next trip!